Extel contains Telmisartan, Extel AM contains Telmisartan and Amlodipine, Extel CT Forte & Extel CT 80 contains Telmisartan and Chlorthalidone. 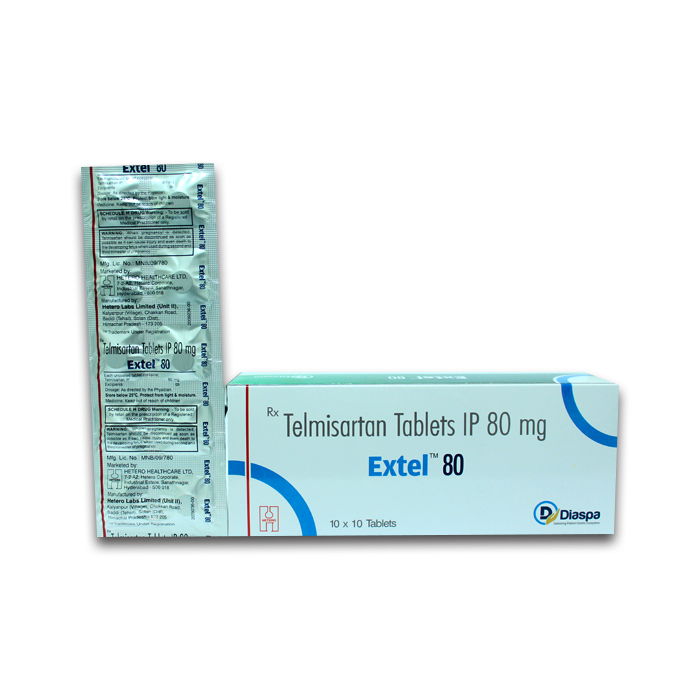 Telmisartan belongs to the class of drugs known as Angiotensin Receptor Blockers (ARBs). Amlodipine belongs to the class of Calcium channel Blockers (CCBs). Chlorthalidone belongs to the class of drugs known as Diuretics. Extel is available in three strengths20 mg, 40 mg and 80 mg and Extel AM is Telmisartan 40 mg & amlodipine 5 mg. Extel CT forte/CT 80 combiantion of Telimsartan 40/80 mg and Chlorthalidone 12.5 mg. Extel range is indicated in the management of Hypertension. Extel 80 mg Tablet is used in the treatment of high blood pressure.